Elaine Katzenberger is an editor with City Lights Books, Inc. of San Francisco, California. Her edited works include fiction, non-fiction and poetry, and have received numerous awards and prizes including the American Book Award and a PEN West Award for Excellence in Publishing. In 1998, Katzenberger co-wrote the libretto for The Indian Queen, an opera produced by the Long Beach Opera Company. 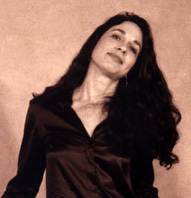 In 2000, she was the co-creator and co-director of Califas 2000, a performance/opera that premiered a first-phase production at The Lab in San Francisco. She is currently collaborating on Monk at the Met, a multimedia dance performance funded by the Guggenheim Foundation, to premiere in the spring of 2002. Katzenberger serves on the Board of Directors of the City Lights Foundation, an educational non-profit that promotes literacy; La Pocha Nostra, a performing arts organization; and is on the Advisory Board of Circuit Network, an artist management organization. She has also served on an advisory panel for the Council of Literary Magazines and Presses.